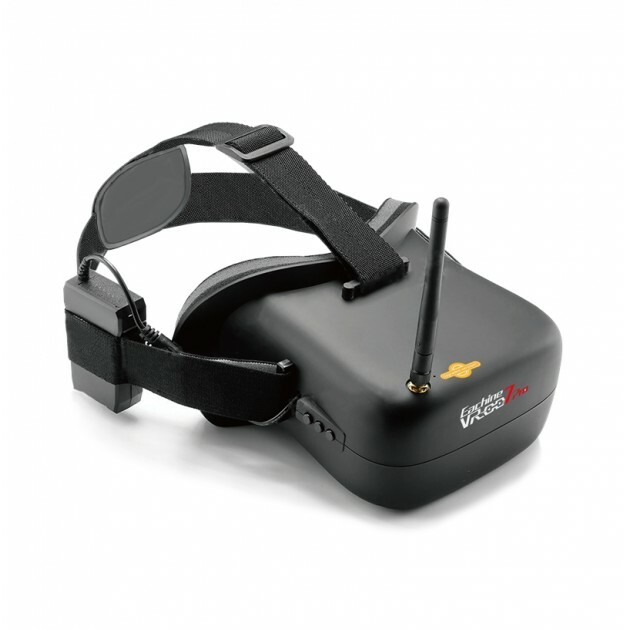 The Eachine VR 007 Pro FPV goggles with video receiver offers basic functions at a very reasonable price. The screen with a high-quality 4.3-inch display provides an intense flight experience. The included battery lasts several hours of operation and then can be replaced by any other 2S battery. Video receiver supports all 40 standard channels. Headband and video adjustment options are naturally available. The Pro version also includes a simple OSD that displays the currently selected frequency .